Being Chained. It's time to save him! A new petition 2016 is coming soon, with a goal of 50,000 signatures. 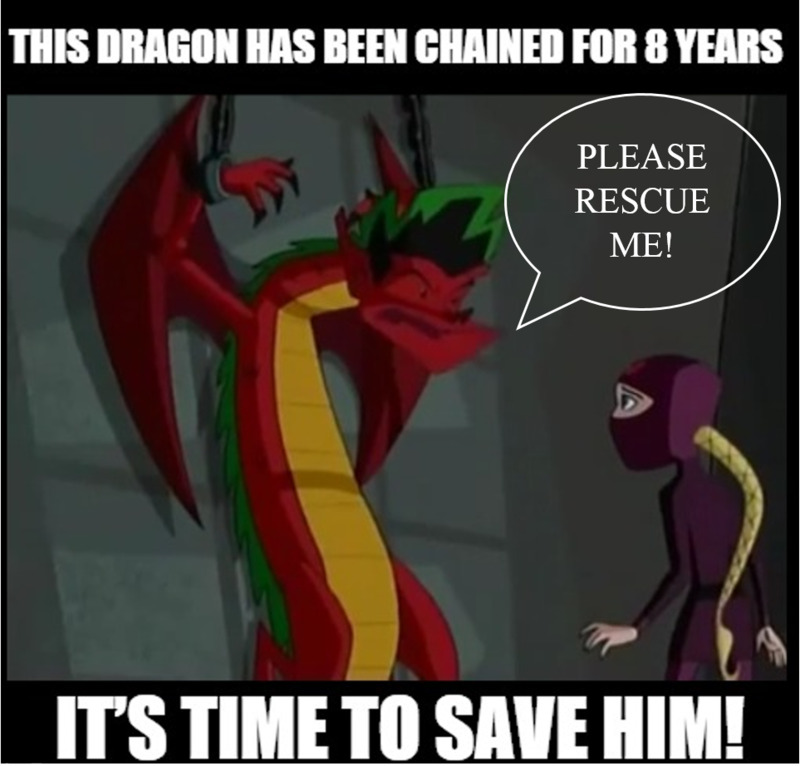 Email: saveADJLteam@gmail.com for Mehr details.. HD Wallpaper and background images in the American Dragon; Jake Long: Season 3 club tagged: photo. It's time to save him! A new petition 2016 is coming soon, with a goal of 50,000 signatures. Email: saveADJLteam@gmail.com for Mehr details. This American Dragon; Jake Long: Season 3 photo contains anime, comic, manga, cartoon, comic buch, karikatur, and comics.